Do you have a few different kinds of cars? If you do, you probably have a few different sets of tires sitting around. 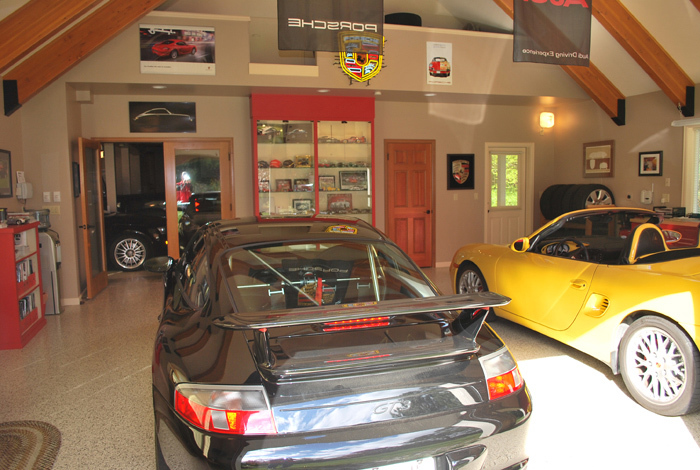 Normally they are sitting in the corner taking up room, precious garage storage space, but they don't have to be. 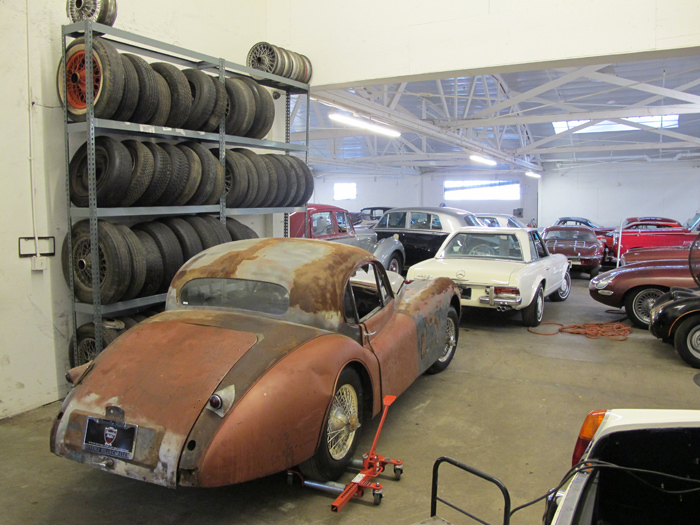 The tires can be sitting on their own tire rack, either off the ground or against the wall, whichever way fits your garage storage area the best. 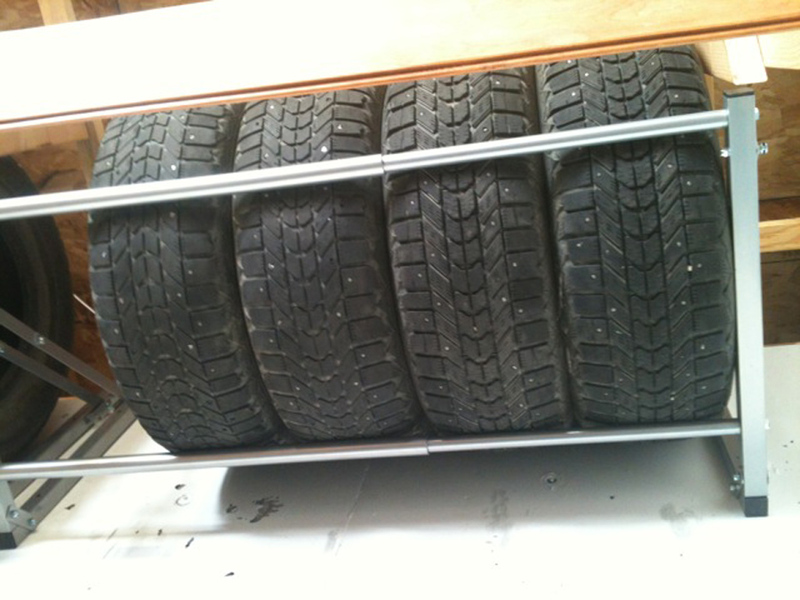 Tire Racks that we carry come in two styles for your garage storage environment. Wall mounted and floor stand style. The wall mounted tire racks are very easy to use and fold up when not in use. This increases your garage storage space when required. 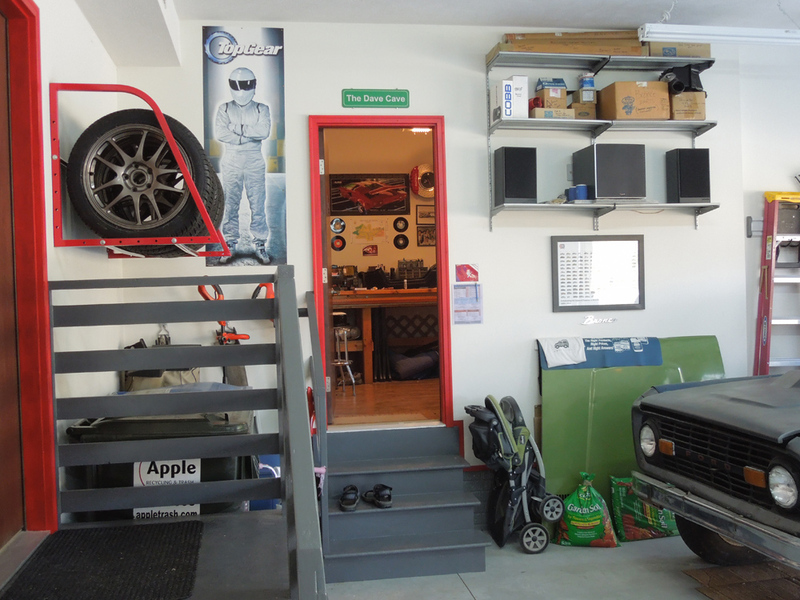 Another benefit for the fold away tire rack is the fact that most garage storage areas don't have the need for a floor style tire rack, they only have a few spare tires sitting around for maybe winter tires or race track tires. 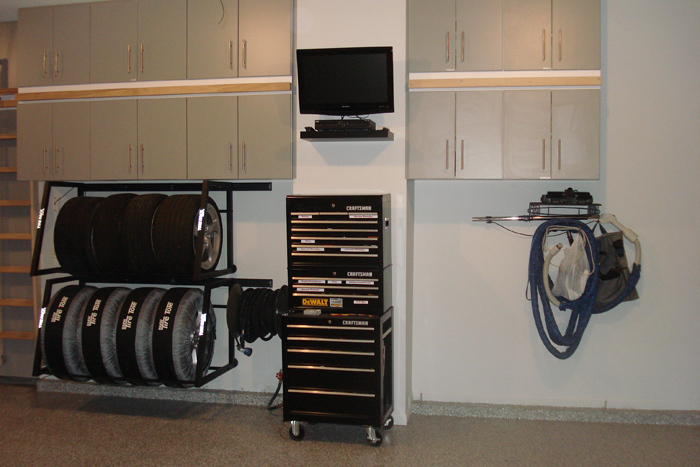 So a single or double fold down aluminum tire rack can work really well with your garage storage solutions. 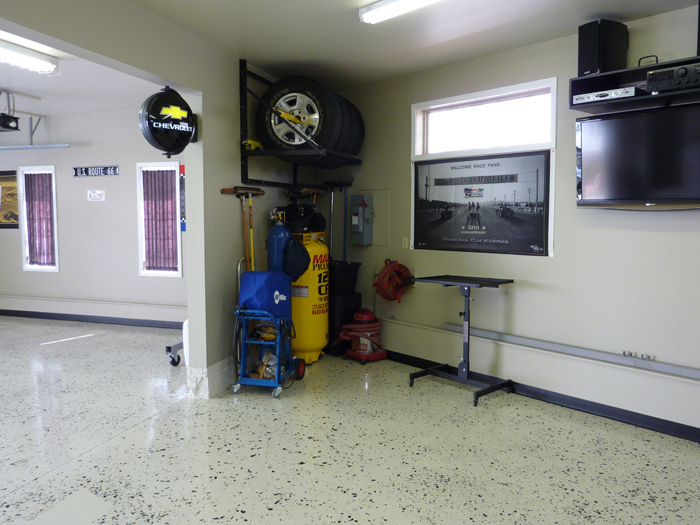 Standing floor style tire racks can been seen across America in garages, as the normal style of holding new or used tires. They work really well, simple and straight to the point. 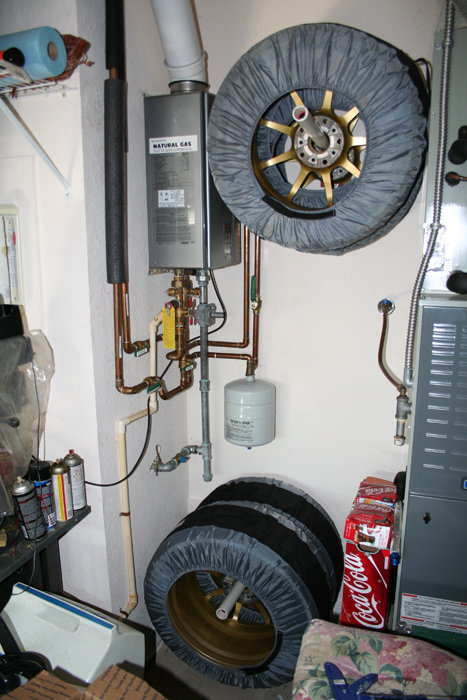 The floor style tire racks be placed anywhere in a garage as required. We recommend attaching them to the wall, but they don't have to be. 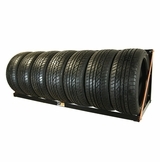 The tire racks are normally two rows stacked on top of each other for ease of use, and maximum garage storage possible. 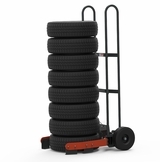 For anyone who has more than one set of tires, some sort of tire storage system is a must. From a hanging tire rack, to a stand up tire rack. Your garage storage and organization will be greatly improved by putting one of these in your garage.